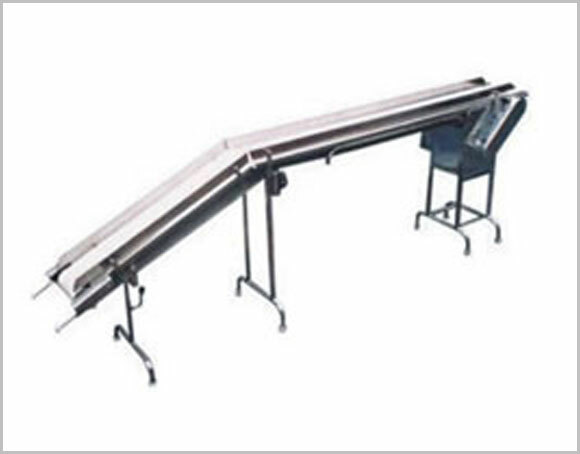 Packing Conveyor Belt is having S.S. Table Top with moving belt in the centre. 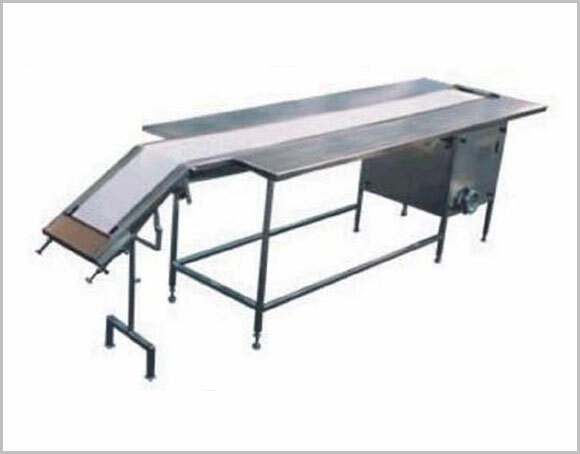 Belt can be provided either 6″ – 8″ – 10″ – 12″- 15″ – 18″Width Fiber Impregnated PVC/ Nylon or 90mm wide SS slat. 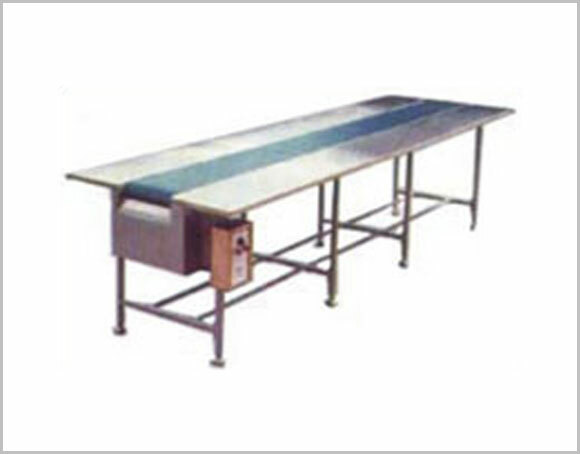 S.S. Table Top is fixed to the frame structure made out of square pipe and supported on adjustable bolts. The drive unit consists of a TEFC Electric motor coupled to a suitable reduction gear box. We have provided a AC frequency drive along with the unit to facilitate quick speed changes and synchronization with other equipments.